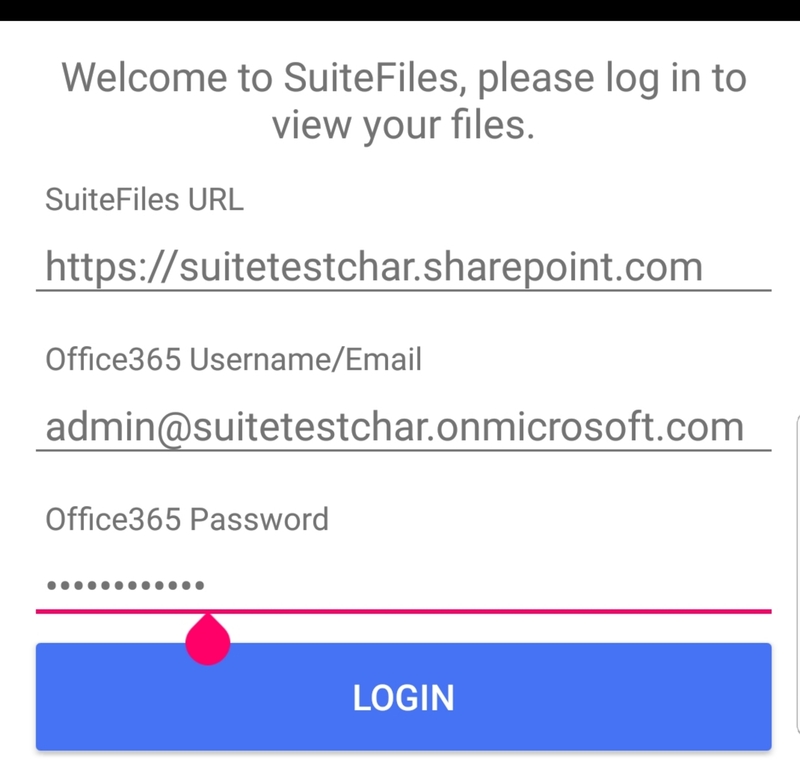 The SuiteFiles Android app is designed to provide a simple way to view documents on the go. This means you can view all your Microsoft Office Documents providing you have the corresponding Office apps to read the files. NOTE: You won't be able to edit or save files using the Android app. 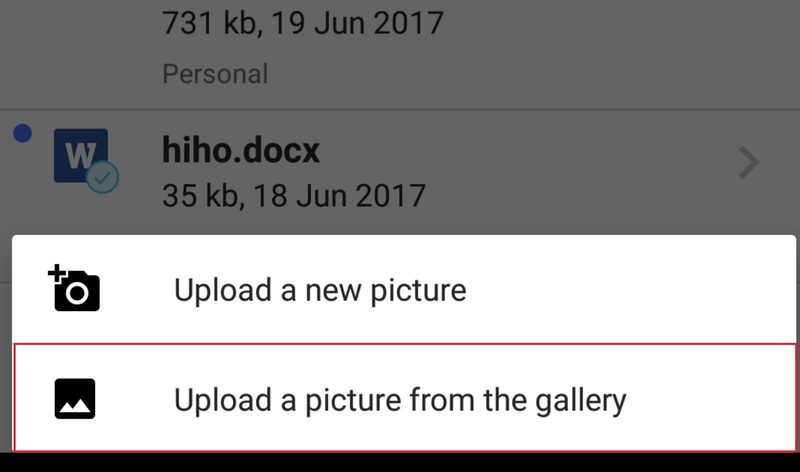 What you can do is search for files, upload photos from your phone gallery or camera and view, rename and favourite files, and share files with internal users. 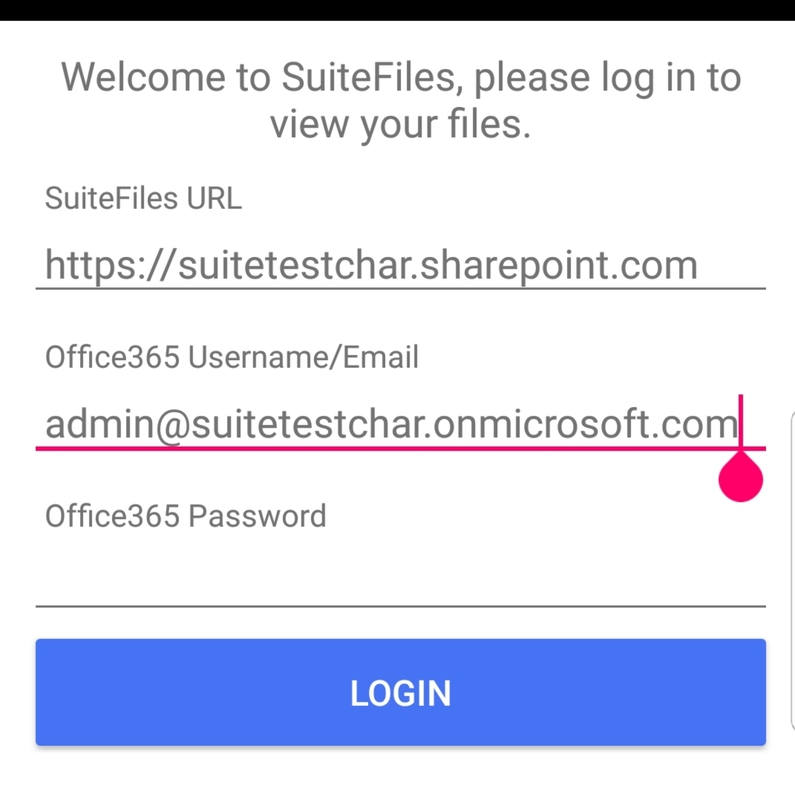 As this app is a simple way view files, you cannot navigate your entire SuiteFiles library like you would on SuiteFiles web, instead you simply have two tabs; Recents and Favourites. To navigate between the two tabs, simply swipe to the side of the screen or tab on the title of the tab (Recents or Favourites). If you are viewing Microsoft office documents you will need to have the corresponding microsoft apps installed on your phone already. 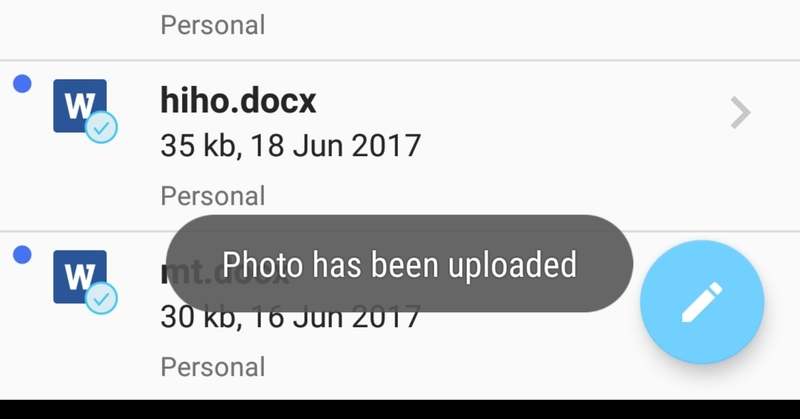 e.g to open a microsoft word document you will need Microsoft word installed on your phone as this app will be used to open the document for viewing. 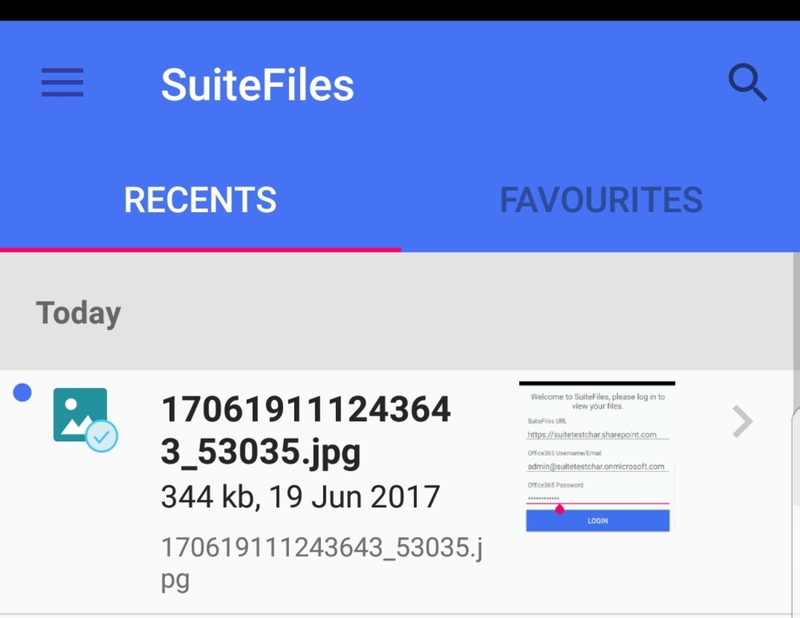 To upload photos into SuiteFiles using the Android app you can either take the photo with your phone or select a photo from your phone gallery. The photos will be uploaded into the home folder in SuiteFiles. To move the photos into allocated folders you will need to use the move function in SuiteFiles web. The search function in our Android app allows you to search for files and has the ability to filter by file types as well as under client folders. 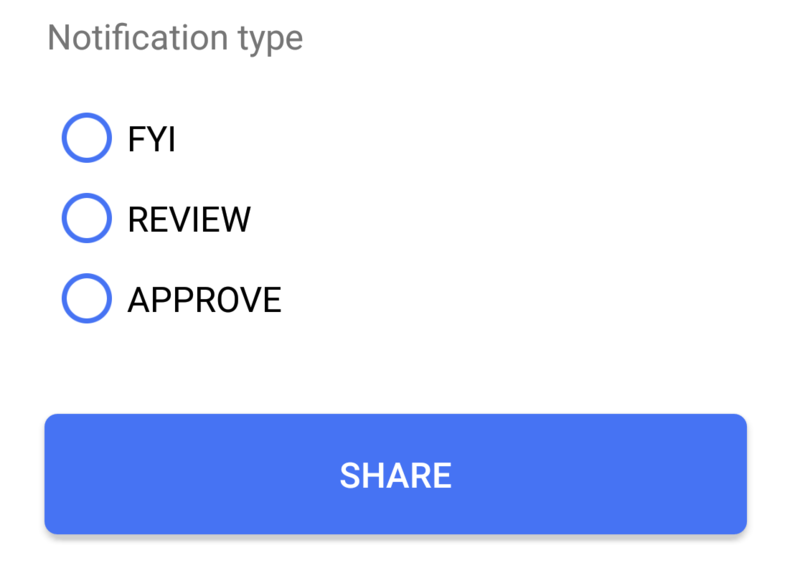 The sharing function allows you to share a file with another member of your team. The recipient will see the shared file as a New Task in the Tasks tab in the SuiteFiles web app. Please note: You can only share files with those from within your team (i.e. another user with access to your SuiteFiles site). 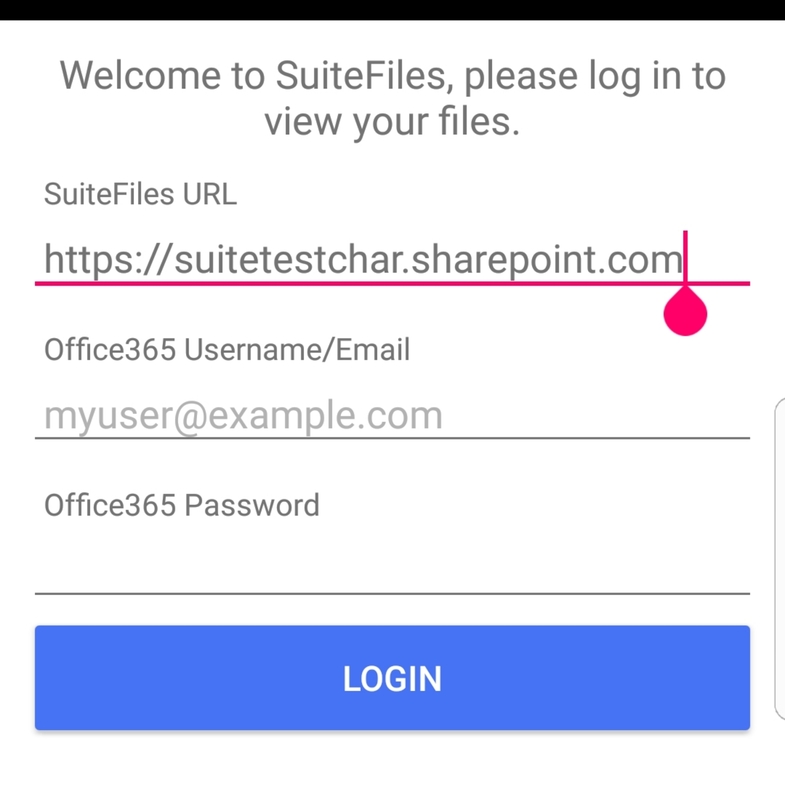 You can use the SuiteFiles web app to share files with external users. Here's how.